Now is the peak time to plant peanuts in Georgia, according to Cristiane Pilon, University of Georgia Cooperative Extension peanut physiologist. During a research trial on the UGA Tifton campus in 2017, Pilon planted peanuts at three different times: mid-April, mid-May and early June. She discovered that the seedling vigor in the peanuts planted in May was the strongest. “By choosing these dates, we were able to see how the soil temperature affected the early-season physiology of the most-planted cultivars, such as Georgia-06G,” said Pilon, who plans to conduct the research trial again this year and in 2019. Seed vigor is the ability of the cultivar to rapidly develop its first true leaves and root system under suboptimal environmental conditions. According to Pilon, soil temperature is the pivotal factor in deciding when to plant peanuts. If peanuts are planted too early, the seedling emergence and vigor tend to be lower due to cooler temperatures in April, which may impair yields. 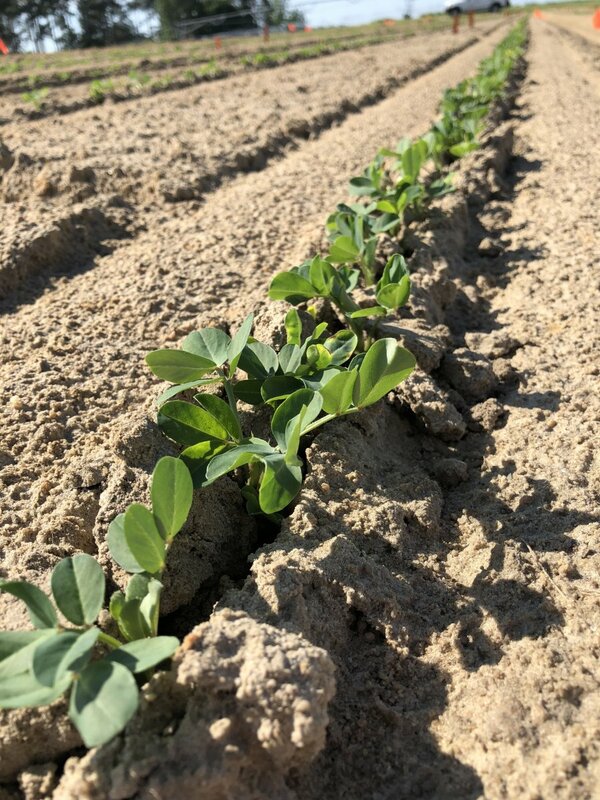 If peanuts are planted too late, growers may see early seedling emergence due to higher temperatures in early to-mid June, but lower yields have been observed. “The temperature must be higher than 68 degrees Fahrenheit over a three-day period,” Pilon said. “To start germination, peanut seeds need good soil temperatures, water and oxygen. If there are no potentially adverse weather conditions, then farmers are good to plant. “You have to make sure your plants are healthy and vigorous throughout the process for a successful production. The faster the plant grows, the more vigorous it is,” she said. Pilon wants to understand the relationship between time to emergence and other physiological processes for peanuts. She hopes her research will help farmers make more precise planting decisions. For more information regarding peanut research, visit www.caes.uga.edu/extension-outreach/commodities/peanuts.html. Julie Jernigan is an intern at UGA-Tifton. This article is courtesy of UGA CAES Media Newswire.